The Evangelical church was built in 1717 next to an older sacral stone building from 1593, which today is a sacristy. This unique wooden building made of yew and red spruce wood was built without using a single metal component and its ground plan is in the form of a Greek cross. The Baroque interior of the church is also made of wood. 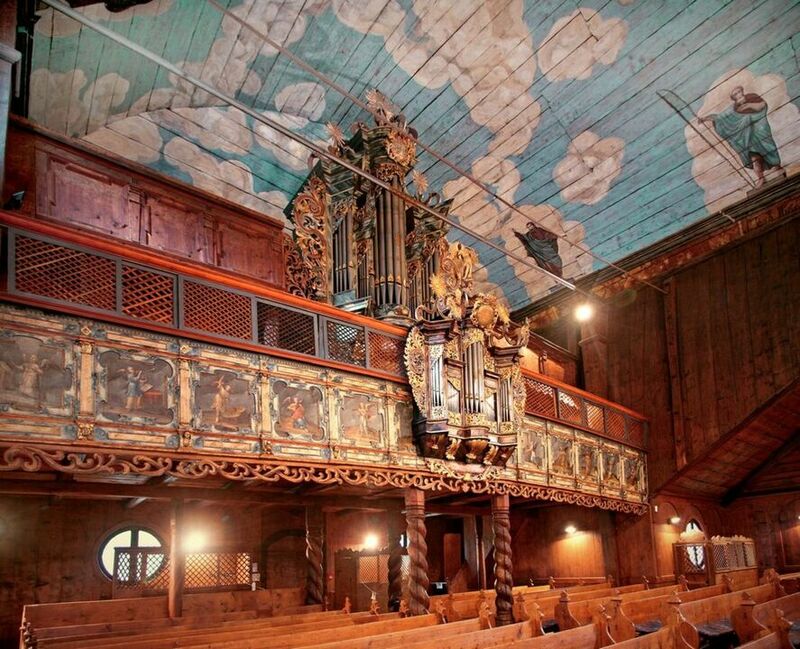 Of immense artistic value is also the church organ with wooden pipes.